A trading strategy that served investors well for the majority of the bull market suddenly didn't work when volatility gripped the stock market in 2018. According to Bank of America Merrill Lynch, investors have the green light to implement it again - and the firm says it's the "correct" strategy for early 2019. The rollercoaster ride in the stock market last year put a trusted investing strategy to the test. Known as "buy the dip," it's the practice of loading up on stocks when they're at their most beaten down, with hopes they'll rebound. It's a counterintuitive and psychologically challenging thing to do, but can pay off for traders with nerves of steel who don't waver on their market convictions. 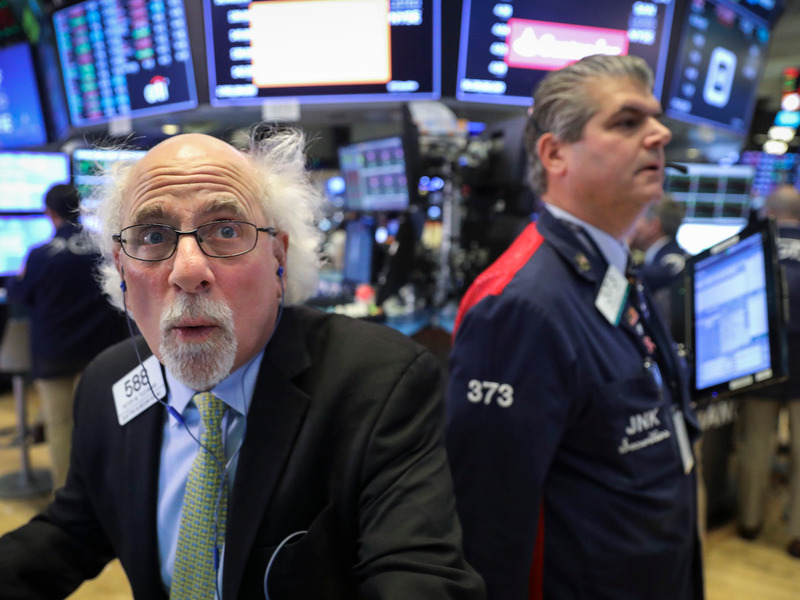 In 2018, however, the "correct strategy" proved to be the opposite of buy the dip: it was "sell the rip," says Michael Hartnett, the chief investment strategist at Bank of America Merrill Lynch. The tide started to turn last February, when a breathtaking rally was quickly ended when stocks plunged into a correction - a 10% from recent highs. The dip-buyers who rushed in then enjoyed gains for only a couple of months through mid-September, when yet another vicious sell-off ensued. With stocks now crawling towards new highs, Hartnett says the stars are aligned for the strategy that failed investors last year to be successful. "Positioning, policy, profits, and populism argue the correct early 2019 trading strategy is to "buy-the-dip," he said in a note to clients on Thursday. Those four Ps could also pass off as reasons to stay on the sidelines of the stocks market, from a slowdown in earnings growth to political turmoil in Europe and the US-China trade war. Read more: The next recession could force the Fed to cut interest rates into negative territory. Here's what that means, and how it could affect you. Hartnett, on the other hand, sees them as reasons why you should be buying. On positioning, he said data on flows show that investors have rushed back into credit, but not yet into US stocks. 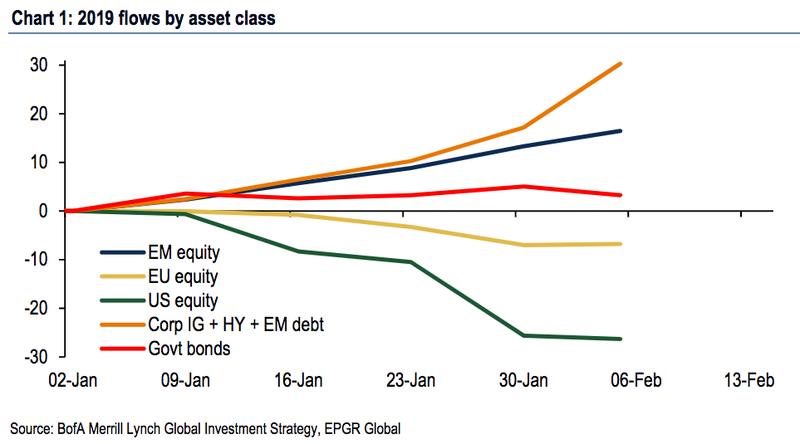 Since January 2, investors have bought $36 billion of bonds but sold $10 billion of equities to brace for a slowdown in economic growth. On policy, Hartnett is focused on global central banks and says the era of monetary tightening is coming to an end. The Federal Reserve, for instance, has put its agenda to raise rates on hold until it gets more clarity on how higher interest rates are affecting financial conditions. Hartnett says there may be more policy "jokers" in the cards, including the Fed ending its quantitative tightening program of shrinking its balance sheet, and a trade-war truce. Hartnett further sees the rise of populism as a factor that could benefit the stock market. On one hand, populism represents "the greatest threat to EPS in the next 3 years" through taxes, regulation, and government intervention, Hartnett said. However, it means that if populism also creates higher deficits, investors would avoid government bonds in favor of stocks. Corporate profit growth is the one factor that Hartnett sees as an amber light for a rally, rather than a green light. That's because analysts have sharply downgraded their earnings-per-share forecast for this year. It would take a halting of these downward revisions for profit expectations to give stocks a meaningful boost, he said. The alternative is some good, old-fashioned late-cycle exuberance like we saw in 1999. For inklings on what's in store for stocks going forward, Hartnett advises watching the Philadelphia semiconductor sector (SOX), homebuilders (XHB), and the Korean stock market index (KOSPI), all of which he sees as bullish lead indicators that give investors clearance to buy the dip once again.